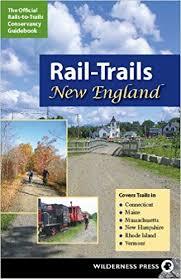 Burlington is a popular and very progressive small city in the northwest corner of Vermont. For a place that is plunged into winter almost half the year, it has adopted a very progressive attitude toward cyclists, and has a wonderful bike trail that runs for several miles along Lake Champlain. Local Motion offers many resources for cycling in the Burlington area. 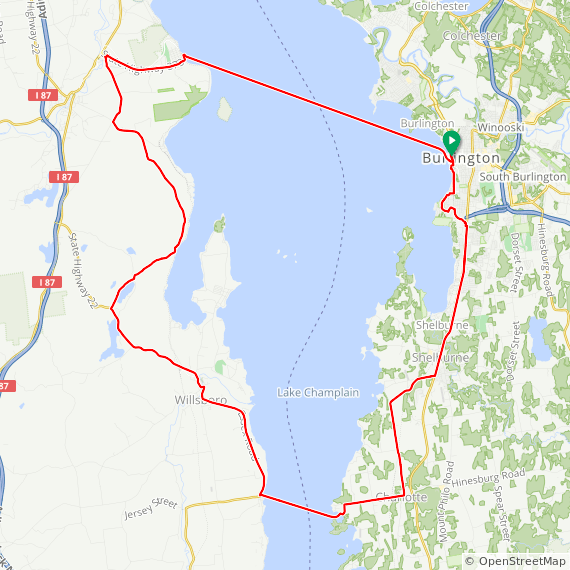 I have a couple of favorite rides from Burlington that also take advantage of ferry crossings of the lake to add a bit of excitement. 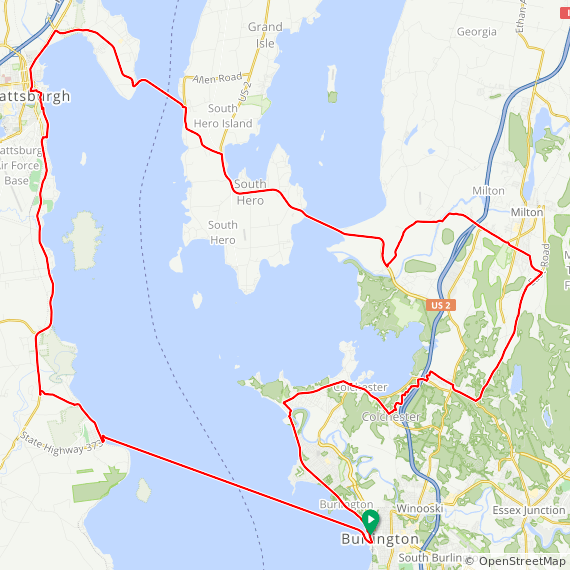 You can ride south along the Champlain Bikeway to Charlotte, then cross to Essex, NY and ride north to Port Kent, taking another ferry back to Burlington.